Living a sustainable lifestyle is extremely important to me, both at work and in the home. In celebration of International Happiness Day on March 20, I encourage everyone to make simple renewable lifestyle changes to live happier, while protecting our planet. 1. When grocery shopping, choose renewable packaging. 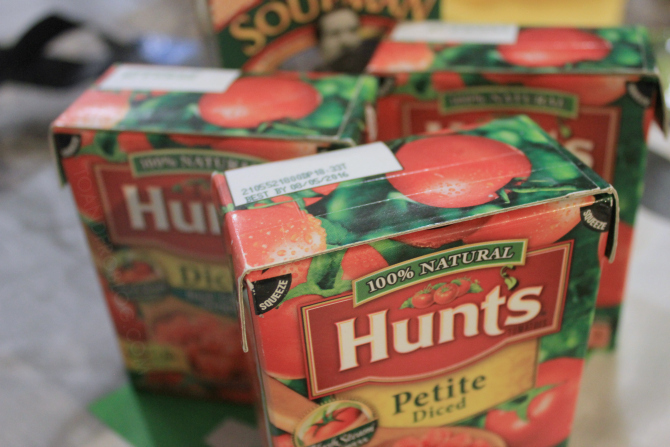 Help preserve our precious natural resources by looking for products with renewable packaging, such as cartons. Tetra Pak's Tetra Recart (the packaging featured below) is the first carton package designed for shelf-stable products traditionally filled in cans, glass jars or pouches. This innovative carton package is mainly made from paper, a renewable resource that can be naturally replenished, and takes up 30-40% less space in your pantry. Don't just stop at what the items are packaged in, take it one step further with how you bring these products home. At checkout, skip the plastic bags, which are made from petroleum, a non-renewable resource. As an animal lover, banning the bag in our house is a no brainer. When the the lightweight plastic bags end up in the environment, they pose a serious danger to birds and marine mammals that often mistake them for food. Keep a stash of reusable shopping bags in the car so that you’re always prepared for the next grocery trip. 2. Take shorter showers. Taking a nice long, hot shower can wake you up and make you ready to tackle the world. The problem is, they can also do a real number on the planet’s freshwater supply. I’ll be the first to admit, taking a shorter shower is a real challenge. A few things to help reduce your shower time are to set an alarm on your phone for the desired shower length, creating a playlist that's as long as your desired shower time and keeping tasks such as brushing your teeth, etc. for outside of the shower. Remember, the only water we will ever have is what we have now. 3. Bike or walk whenever possible. Living in a big city, walking, biking and even carpooling and taking public transit are heavily relied on to get to and fro. For me, I take the subway to and from work every day. 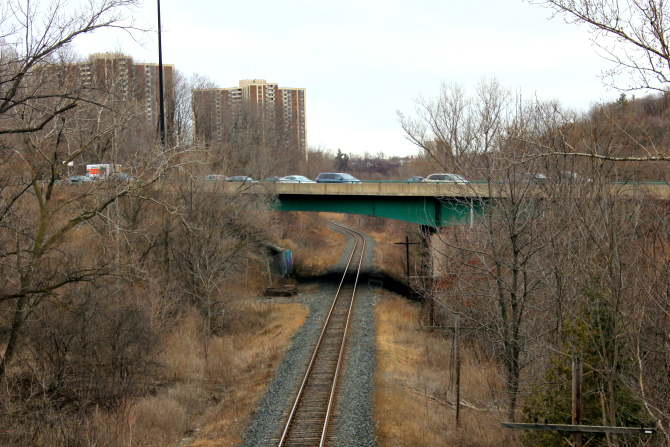 Trains are relatively energy efficient modes of transportation, using far less fuel per passenger mile than cars. Not only do I avoid traffic and the pain of having to find a parking spot downtown, my subway time is a chance to relax, catch up on the news and people watch. 4. Swap your paper coffee cup. For me, this is one of the easiest challenges because making coffee at home and taking it to-go in a reusable travel not only saves resources, but also money and time when you’re in a rush to get to work. Don’t just stop with your coffee, keep hydrating throughout the day with water in a reusable bottle or Tetra Pak carton. Need a mid day caffeine boost? 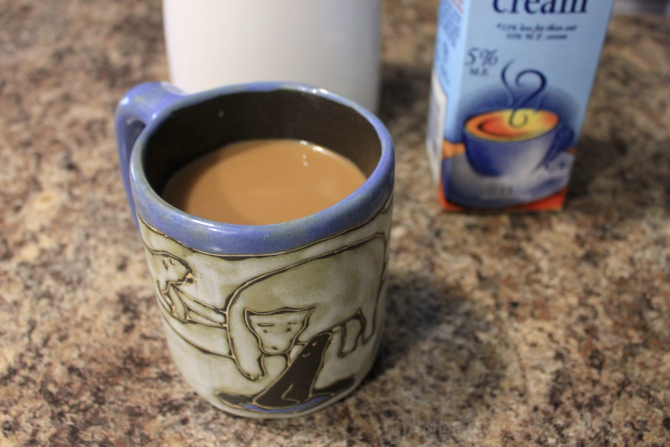 Make sure to have your own ceramic coffee mug at work. 5. Take the Tetra Pak Happiness Quiz. Protecting the planet means protecting natural resources—and that’s sure to make you happier. Do your habits make you happy? Take Tetra Pak’s short quiz to find out how your daily choices impact your mood and the planet. Challenge yourself! By adopting simple lifestyle habits, like those above, you can make a big impact on your life and the world around you. It takes approximately 28 days to form a habit, so what are you waiting for?! Learn more about how Tetra Pak is working with suppliers, manufacturers, brand owners, NGOs and others to expand attention from the mid and end of the packaging life cycle to the beginning, here. 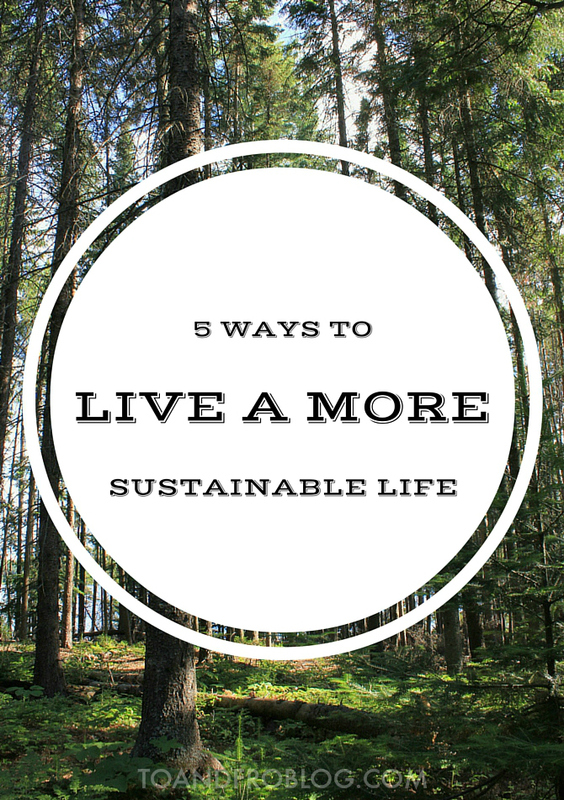 How do you live a more sustainable life?